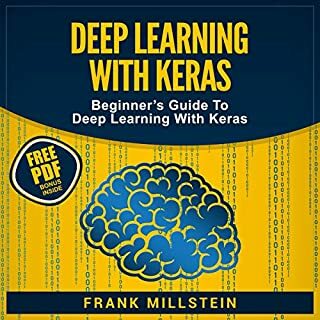 This audiobook will introduce you to various supervised and unsupervised deep learning algorithms like the multilayer perceptron, linear regression, and other more advanced deep convolutional and recurrent neural networks. You will also learn about image processing, handwritten recognition, object recognition, and much more. Furthermore, you will get familiar with recurrent neural networks like LSTM and GAN as you explore processing sequence data like time series, text, and audio. This audiobook covers the basics behind convolutional neural networks by introducing you to this complex world of deep learning and artificial neural networks in a simple and easy-to-understand way. It is perfect for any beginner out there looking forward to learning more about this machine learning field.This audiobook is all about how to use convolutional neural networks for various image, object, and other common classification problems in Python. Here, we also take a deeper look into various Keras layer used for building CNNs. 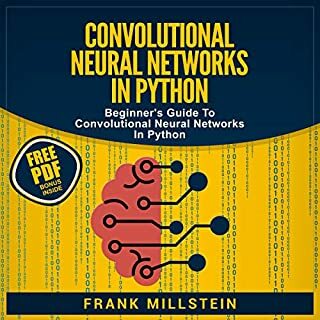 This is an extremely accommodating and helpful book for the beginner's.From this book you will find out about how convolutional neural systems really work,the significance of convolution administrator and much more.I trust you should discover this book valuable.